i don't have that much to say today, it doesn't happen often. it snowed yesterday, i'm talking a blizzard. it made me a little sad because i was hoping to get some fresh air again. we are ready for warmer weather for GOOD. r-e-a-d-y. a pastor spoke at our church on sunday and talked a little about how stay at home moms are going crazy cooped up all winter long, sometimes all year long, but how we can still reach out to others for HIM. i wanted to shout amen. i shoulda. it motivated me and reminded me of what i should be doing more of. i loved it. i am so behind in the book i am reading and i have to prepare to teach small group tomorrow. sometimes i just can't catch up. i have three appointments in the next two days for the boys. we are busy little bees, and so it's short and sweet today. or maybe just short. tea. my just lovely things headband. ice cream (duh). these are some pretties i added to sugar money. love your headband! you know how much i love a good headband! you are always SWEET. i like the pretty in pearls wreath. well done. i too feel like i can't keep up. there are not enough hours in the day. are you talking about the book 1000 gifts? i want to read it. what the heck! 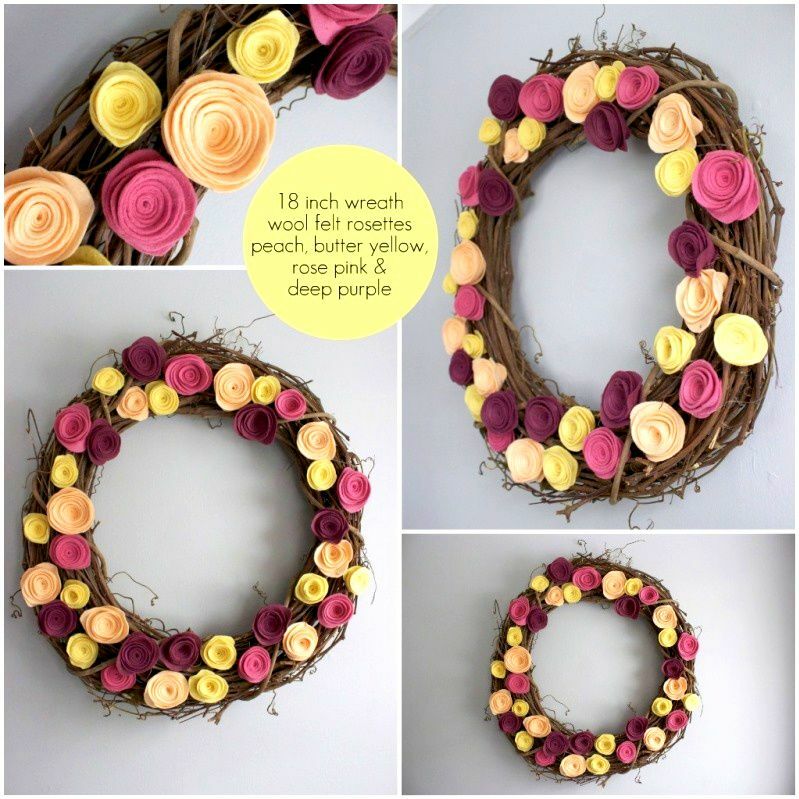 i checked out sugar money and looks like your wreaths are a huge hit!! yay for airplane travel. yay yay yay. I LOVE that sing wreath! So cute!! Danielle, don't you realize you reach people for HIM via this blog? Your profession of faith is refreshing. 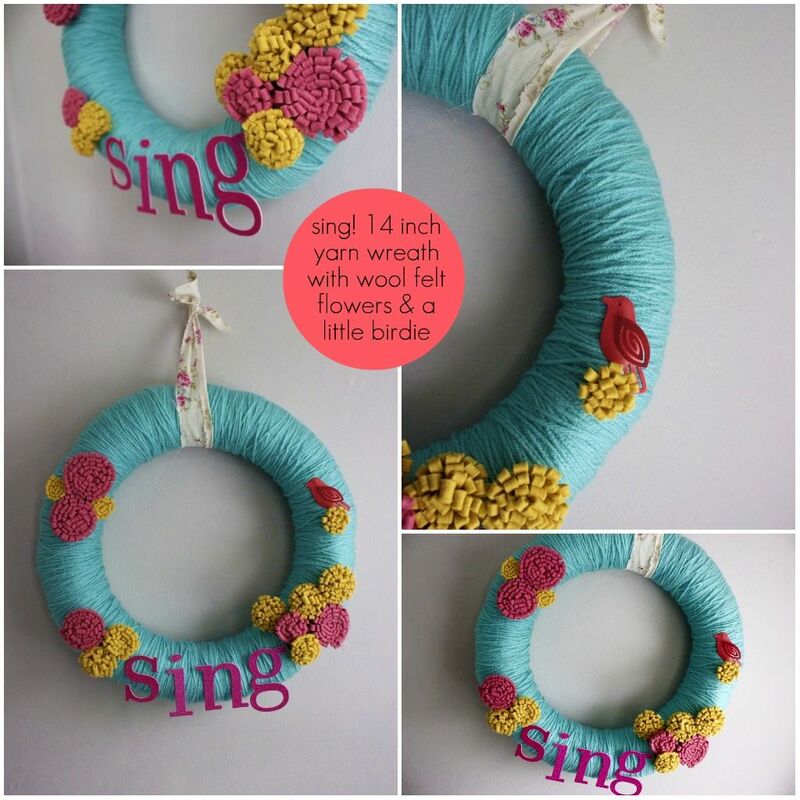 The SING wreath is adorable. Thats one of my favorite words. Glad to hear the shop has been such a big hit! still sweet! amazing how quickly you feel sooo behind when you were just caught up yesterday! And remember, "No matter how long the winter, spring is sure to follow"
it snowed?? winter go away....spring is in full effect in KC! i am READY for nice weather too!! north dakota winter is killing me slowly:/ praise the lord for great blog reads, books, cookies and playdoh;) me and toddler, we are dying to be OUT in the fresh air. for now though, it is freezing and we are expecting ten inches of snow today. pfft. thanks for your sunny posts, my friend!! xo make a great day! I want one of those headbands soooo bad! haagen dazs is the bomb. Well...Spring is taking a break here too...the weather is supposed to be in the 30's the rest of the week...:( Love your headband...so adorable! 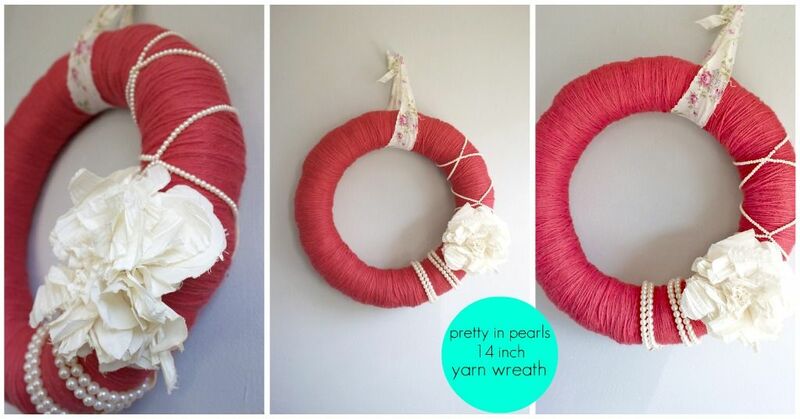 i LOVE the pretty in pearls wreath. i just might have to buy it! those wreaths are gorgeous girl! i might just have to get one. and you are total hottness in the just lovely things headband! love it. I think I have said this before but I love your cute little personal posts from the heart...and by the way you are SOO TALENTED I'm living your wreaths!! YOU GO GIRL! just had to stop and say- your photos are unreal. and i like the design of your site, did you do it on your own?